Taylor Power Systems was honored to receive the award for Large Business of the Year at the 2019 Clinton Chamber of Commerce Annual Celebration. Taylor Power Systems is proud to support the Clinton Chamber of Commerce, and is fortunate to be a productive member of the Clinton community. 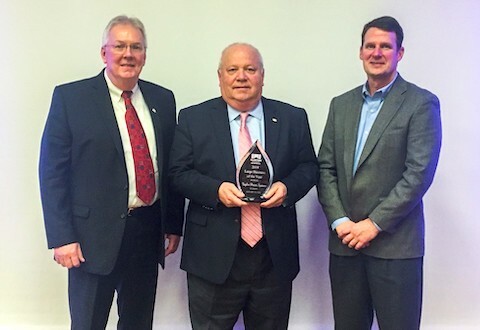 Accepting the award for Taylor Power Systems at the 2019 Clinton Chamber of Commerce Annual Celebration was (L to R) General Manager Steve Duke, Rental Sales Manager Frank Ford, and Production Manager Glen Carroll. Management of The Taylor Group of Companies (TTG) announced the promotion of Steve Duke to senior staff. Duke was promoted to Manager of Taylor Power Systems (TPS) earlier this year. Prior to manager, Duke served as General Service Manager of TPS for four years. 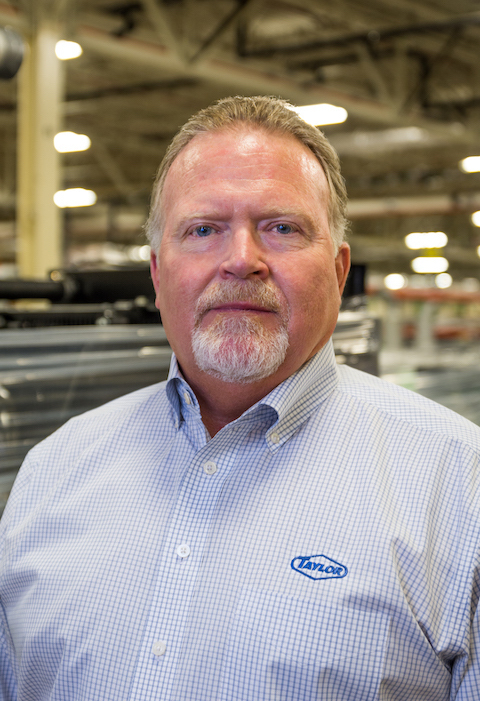 Duke has been in the power generation and equipment industry for over 34 years and has previously worked with a Caterpillar and a Kohler distributor. Taylor Power is pleased to announce that Pat Shaw will be the Corporate Parts & Inventory Control Manager effective today. Pat will manage all Parts Departments including the Clinton Manufacturing facility and all Taylor Power Service Centers. With the many years of parts industry experience that Pat has, he will help negotiate lower costs on parts and components used in the manufacturing of our generators just as he has done for our Service Centers over the past several years. Pat will help reduce our non-moving inventories with his creative ideas and past parts sales experience. The Purchasing Agent will report to Pat. This position will report to the General Manager. Please congratulate Pat and offer your support as he undertakes the enormous task. Taylor Power is pleased to announce that Richard Steinwinder will be the Service Operations Manager effective today. 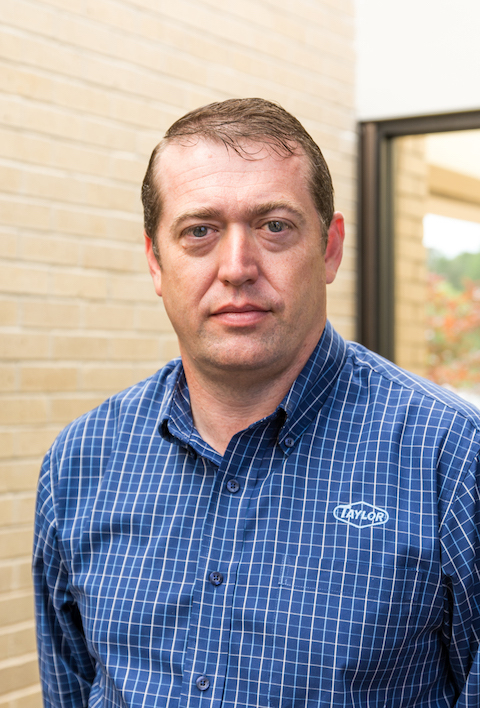 Richard will be responsible for overall service operations including management of our Service Centers along with the management of the Technical Support Group, including Warranty, Training, Quality Control and Safety. Richard's 11 years of experience as a Service Manager will be used to assure that we are responsive to our customer and dealer product support needs. Richard has grown the Clinton Service Department to new levels and will do the same in growing each of our Service Centers along with growing our support for dealers and customers. This position will report to the General Manager. Please congratulate Pat and offer your assistance as he accepts this new responsibilities. Kathy Ebarb appointed to Service Manager of Baton Rouge Store. 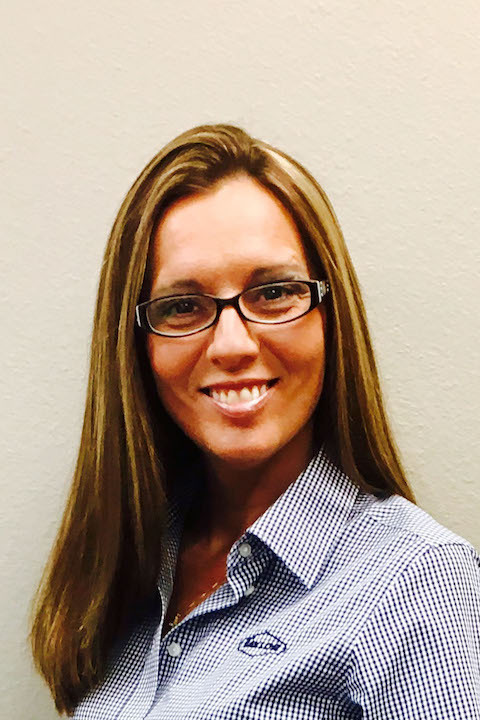 Taylor Power is pleased to announce that Kathy Ebarb will be taking responsibility as Service Manager for the Geismar store,(Baton Rouge, LA Area), in addition to the Bossier City store. Kathy will manage both stores from her current office in Bossier City. Under Kathy?s management, Bossier City had the largest percentage of growth from 2015 to 2016 of all TPS Service Departments at 36%. Kathy has grown the Bossier City service sales over 50% during the past five years. With her proven results, years of service management experience and knowledge of our company systems and procedures, Kathy will work to grow the Geismar store in the same manner. Please congratulate Kathy and offer your support as she works to grow a greater presence in the Baton Rouge Area. Thomas Culpepper appointed Intermodal Product Manager. 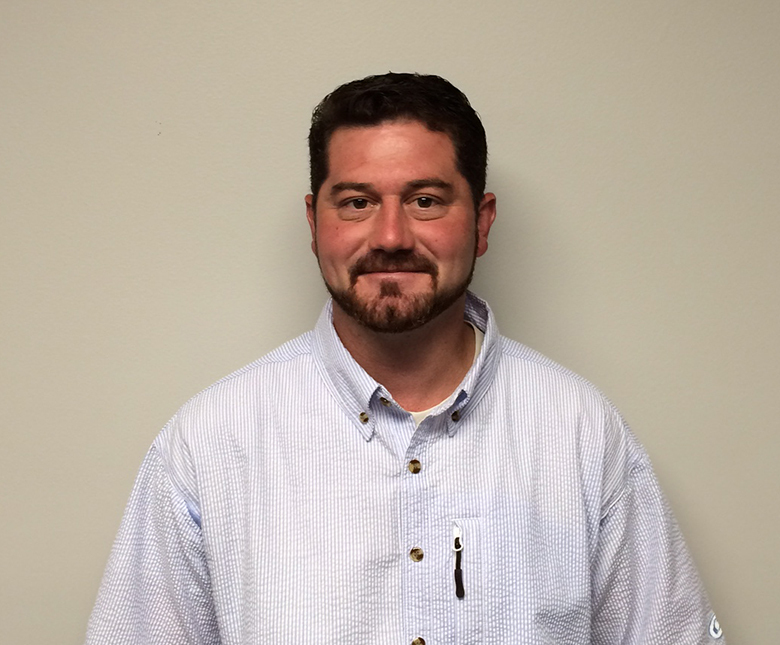 We are pleased to announce that Thomas Culpepper has accepted the position of Intermodal Product Manager. As the Manager over this product line, Thomas will be responsible for our Transportation Unit (Underslung), Power Pack and Rail Pack products. He will manage the design, marketing and selling of these products. Thomas will coordinate start ups and provide our customers with owner training. He will assure that our designs are industry leading and will provide field follow visits to assure complete customer satisfaction. Thomas will work with our Parts Departments and will help establish a worldwide dealer service support network to provide our Intermodal customers with timely and responsive warranty, parts and service support. Everyone that has worked with Thomas knows of his excellent technical knowledge, positive attitude and his daily commitment to taking care of our products and customers. With the combination of talents that Thomas has, he will grow our Intermodal product sales to new levels. This transition will begin on August 1, 2016. Thomas will continue to provide assistance with technical support and training on all products and will work toward full time focus on Intermodal over the next several months. Thomas will report to John Scarborough and Steve Duke for his Intermodal sales and service support responsibilities. Please congratulate Thomas and offer your support as he works to grow our Intermodal product business. Taylor Power Systems is proud to announced the promotion of Steve Duke to the position of General Manager. Steve Duke previously served as Assistant General Manager of Taylor Power. 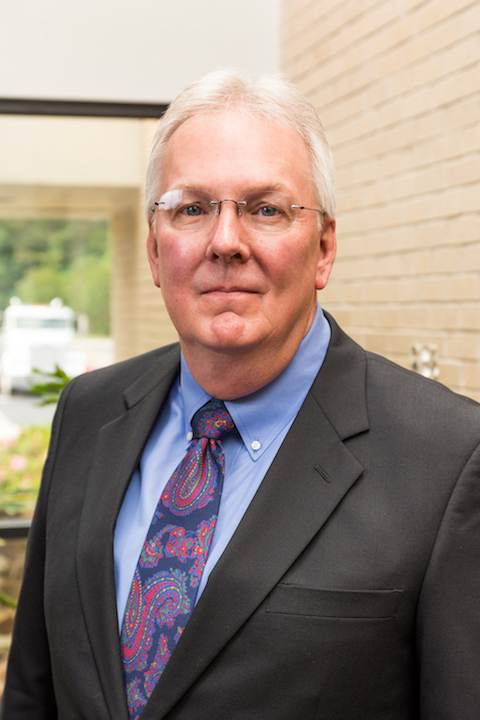 Prior to his tenure with Taylor Power, Steve had been in the power generation and equipment industry for over 29 years and previously worked for a distributor of Caterpillar and Kohler brand generators. Please congratulate Steve and offer your support as our new General Manager.